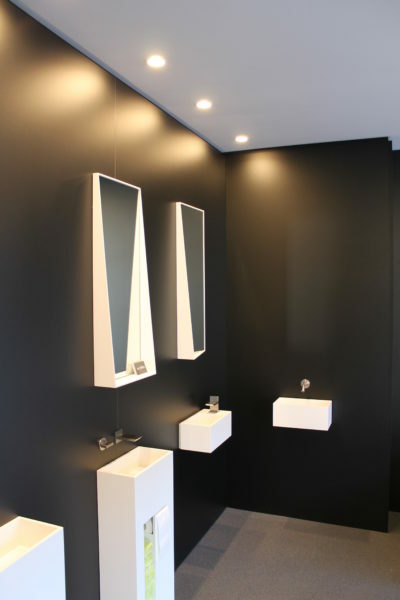 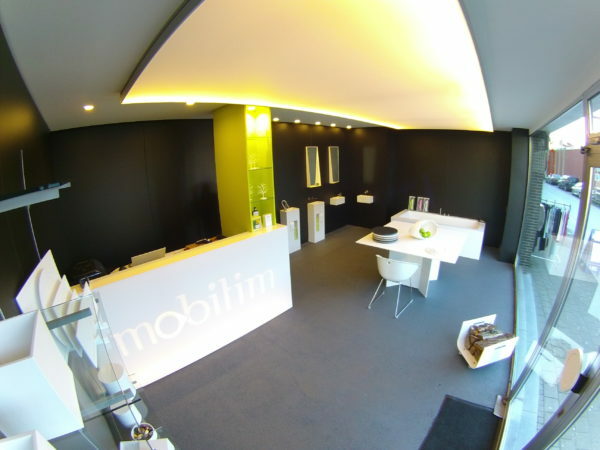 The Mobitim pop-up store displays products made from DuPont™ Corian® and is situated in Kortrijk, Belgium. A Connected Light solution was used because the system needed to be flexible and easily movable since the pop-up store is a temporary installation and moving from place to place. No switches are installed in the store- everything is controlled via Bluetooth Low Energy from a smartphone or tablet user interface. Casambi’s ASD modules are interfacing with 3 channel DALI dimmers for RGB Ledflex lights from LEDsGO. 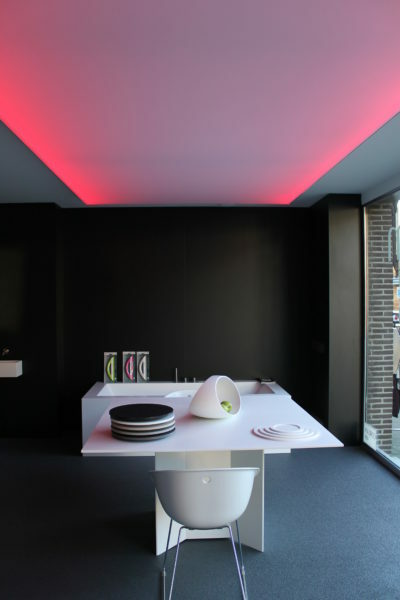 Casambi’s TED modules are connected to all the LED downlights in the store. 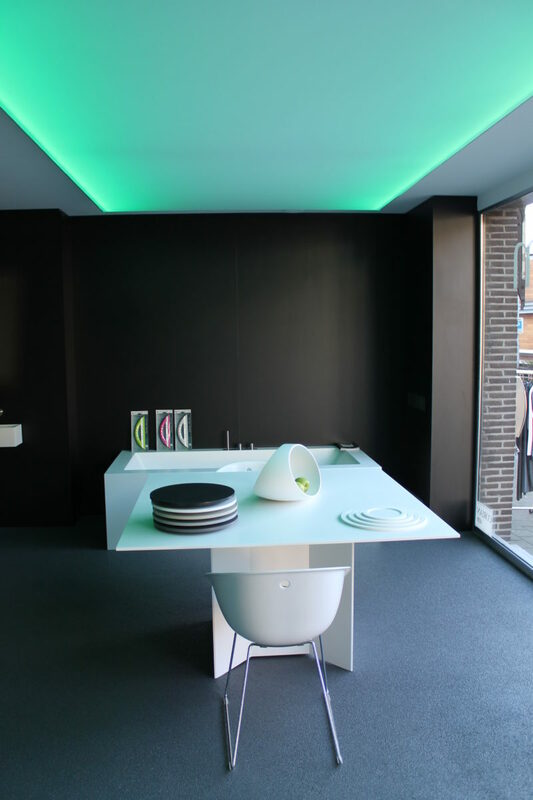 Automatic scene control has also been implemented by Casambi’s Timer-functionality. 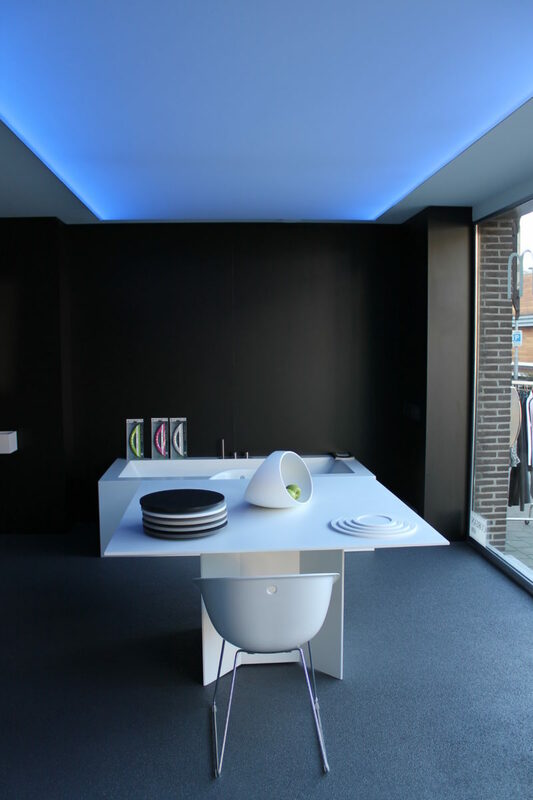 In the night time a night scene has been automated to start, where blue lighting in the store dims slowly up and down in a cycle, referring to slow breathing and symbolising that the store is asleep. 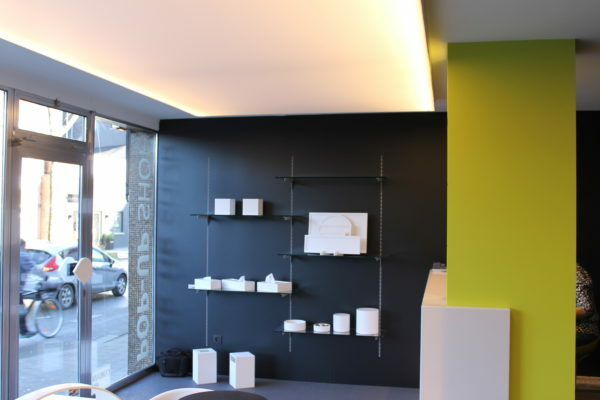 One tablet is kept in the store at all times as a gateway enabling the possibility to control the lighting in the pop-up store remotely at any times.